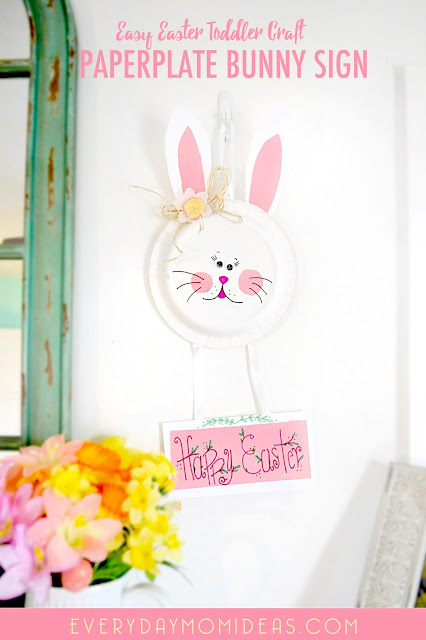 This is the perfect Craft for toddlers this Easter and they will love being able to maki it their own and hang it up for everyone to enjoy. 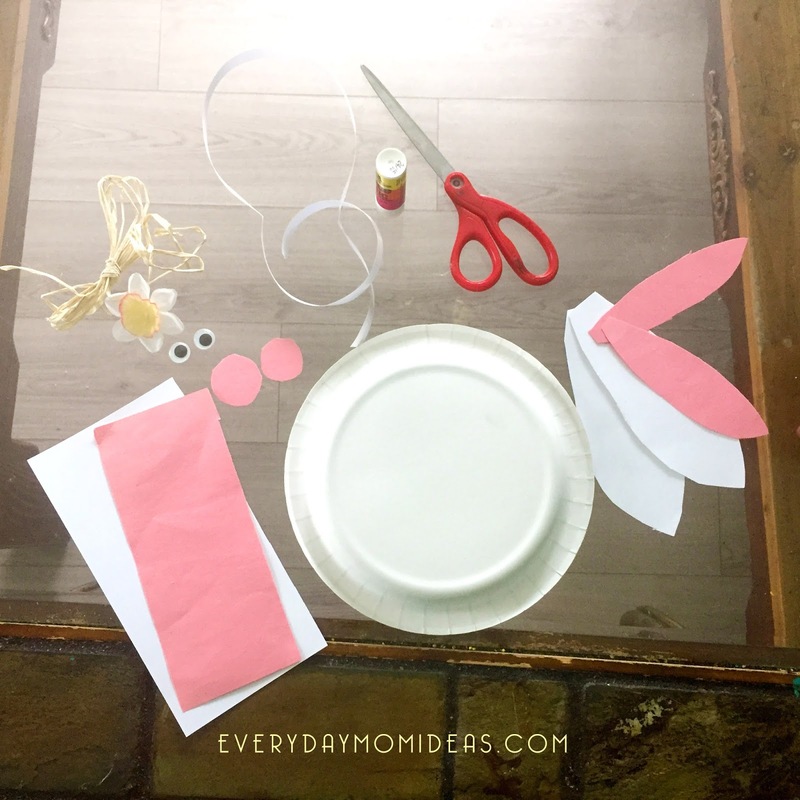 The best part is that it only takes about 10 minutes to make if you cut out the pieces for them and make a little kit for your toddler to enjoy glueing together. I did this same craft with my boys a long time ago when they were little and its still a big hit with little ones. I even blogged about it here back when I first started by blog. Its kind of fun to get to re do the same craft all these years later. 1. 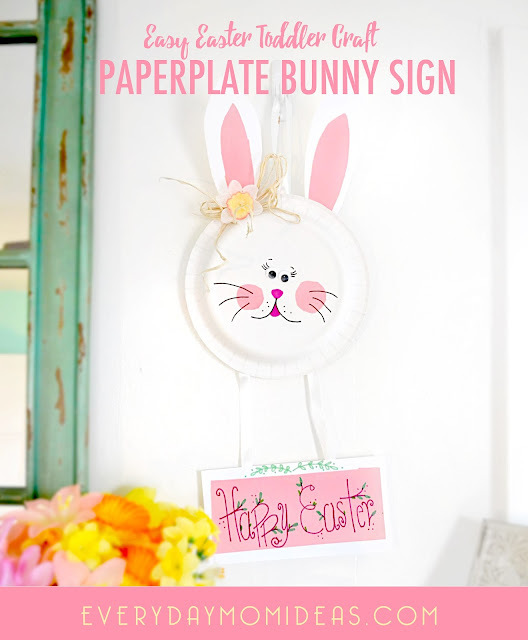 Cut out shapes for ears, cheeks, and sign. Tip: Show your toddler how to glue one piece on first and then have them glue the next matching piece. 2. Put the googly eyes and cheeks on before you draw the face and then you can add your sign with some ribbon. Tip: Adding a ribbon for girls and a bow tie for boys makes this bunny extra dapper. Check out my two year old's Craft Tutorial Debut. She did a great job don't you think?! Please share this Pinterest Friendly Image Below with your friends and family.